Kimura House (木村邸) is one of the remaining houses in Iwamura. The house was built in late 18th century, and registered as the important historical asset of Ena. 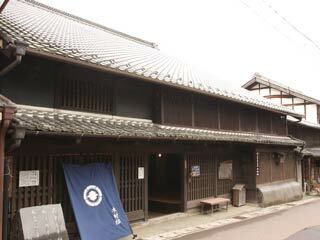 It is popular powerful merchant house of Edo Period. Omoya, the main house, has the 3rd floors which is very unique in this period. Garden and storages are very beautiful. Admission: 200 yen for adult, 100 yen for senior. Under Junior, free. There is group discount. Kimura was one of warehouses and later they were chosen as the direct provider for the castle lords. Kimura was merchant class, but they were allowed to have family name, carry Katana and other samurai privileges. They supported the finance of Iwamura government, and helped make a new rice field, road constructions and development of Iwamura culture. ... was the secret window which used when Daimyo Parade was happening and house owner was able to see out side quietly. The structure of the house with living room, store space, kitchen, tea room and other rooms is a great example of the powerful merchant house in Edo period.